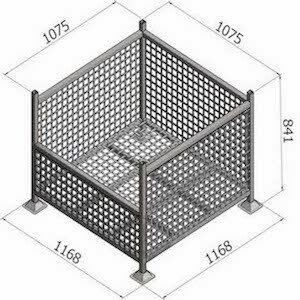 The Bremco Pallet Cage G70 is a robust and lightweight pallet cage with mesh sides and a mesh base, with half drop front section. It can be safely stacked up to five (5) units high, maximising factory air space. 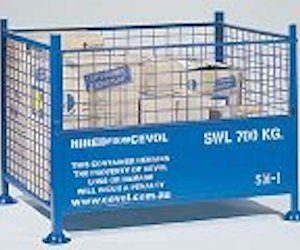 Drop down gate also available as an optional extra. 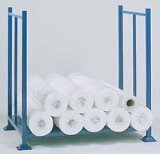 This allows for maximum use of air space in your warehouse. 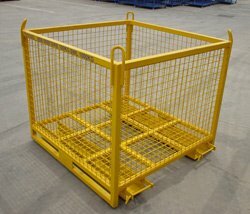 We can also custom manufacture Pallet Cage G70 products to suit your specific requirements. Contact the friendly Bremco team today to find out more or place an order. You can also get a quick quote online.